As an acting tutor, Ken Rea taught Damian Lewis, Hayley Atwell, Orlando Bloom, Daniel Craig, Dominic West and Ewan McGregor. 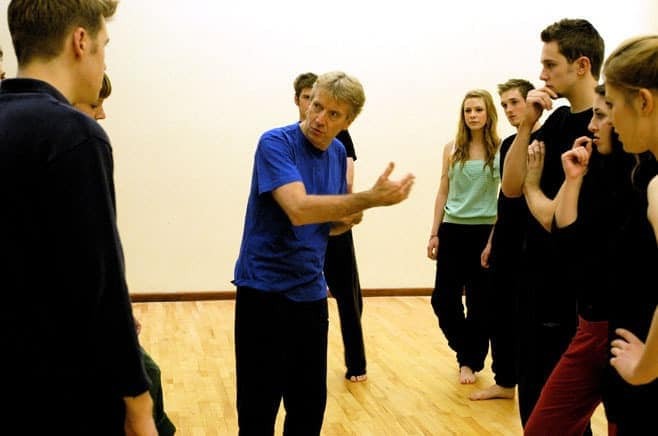 Ken Rea teaches aspiring young actors at the Guildhall School of Music & Drama. He was a theatre critic and arts journalist for The Guardian and The Times for over 15 years, has travelled to India, Japan, China and Bali exploring and researching different acting techniques and is the author of The Outstanding Actor: Seven Keys to Success. It’s fair to say he knows a thing or two about acting. Next week, Rea brings his expertise to Soho House Berlin. In his workshop, What Makes an Actor Outstanding, he’ll demonstrate various techniques on three actors and explain why British actors are some of the most highly regarded in the world. “There’s something fascinating about the chemistry of groups. Some students sink without a trace, but generally if one person does exceptionally well they’re not alone. Orlando had such great conﬁdence and flair that we knew he was going to do well, but so did many of his classmates. One went on to become an Italian movie star, others set up a successful theatre company. They all had such great chemistry with each other. This becomes what I call a vintage year group. The Outstanding Actor: Seven Keys to Success, Bloomsbury, is available now.